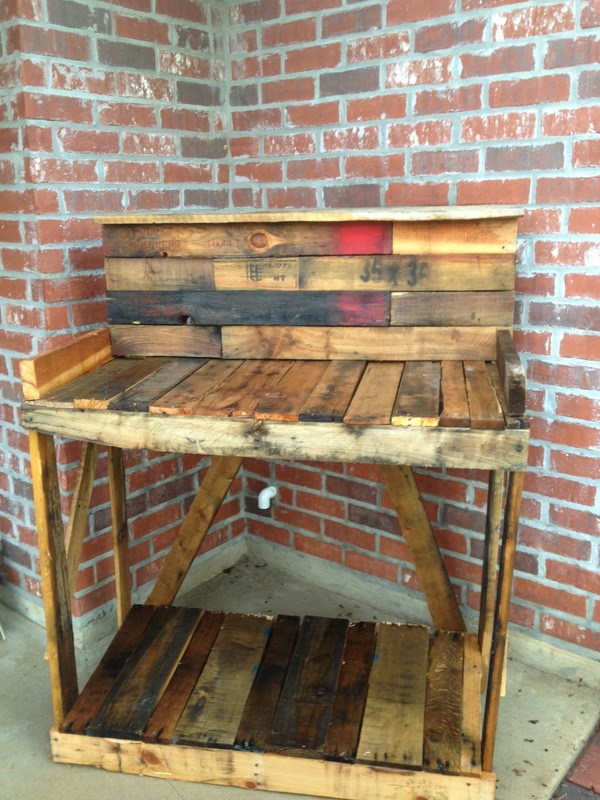 Radiant Oasis: DIY Patio Pallet Potting Table! 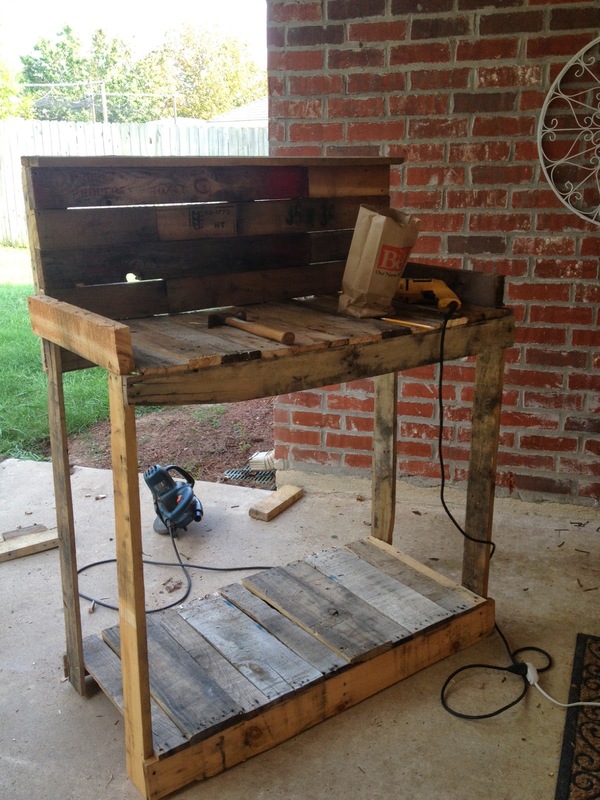 How to build your own Patio Pallet Potting Table! You are going to need to start with about 5-10 pallets depending on the size of each pallet. 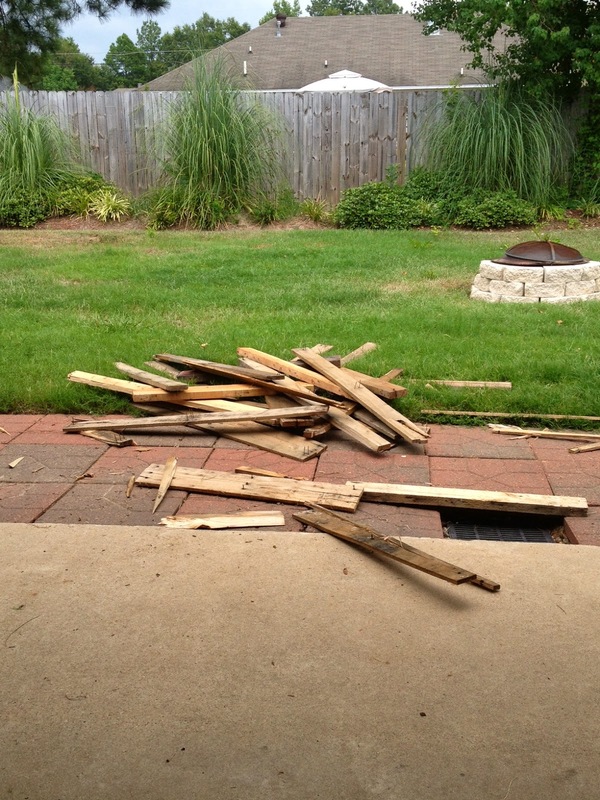 Begin by disassembling them into straight boards as pictured above. Also remove all the nails this can be done with a skill saw or a hammer. You want to begin with a frame. 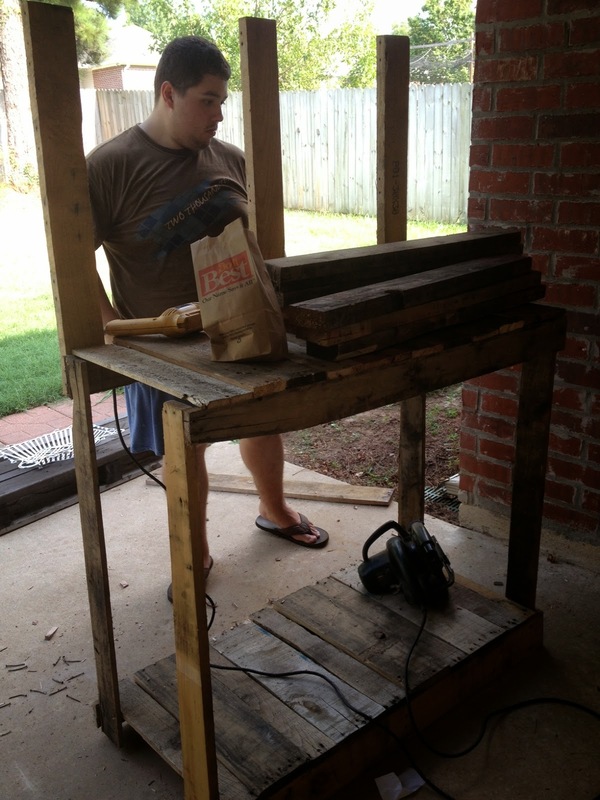 We started with two 4 foot boards on each side and screwed ten twenty inch pallet pieces to those two board to create the bottom of your table. Also add three supporting boards in the back for your back-splash. Next add four supporting boards from the bottom table piece, two on each side to create the frame piece for the top of the table you will use a drill and screws to connect each board. When you have created your four frame box, add two supporting boards on the back and front of the table to lay your nine twelve inch pieces for the top of the table. You can take the liberty to add any detail at this point, we decided to add two additional pieces on the top shelve to create "arms". 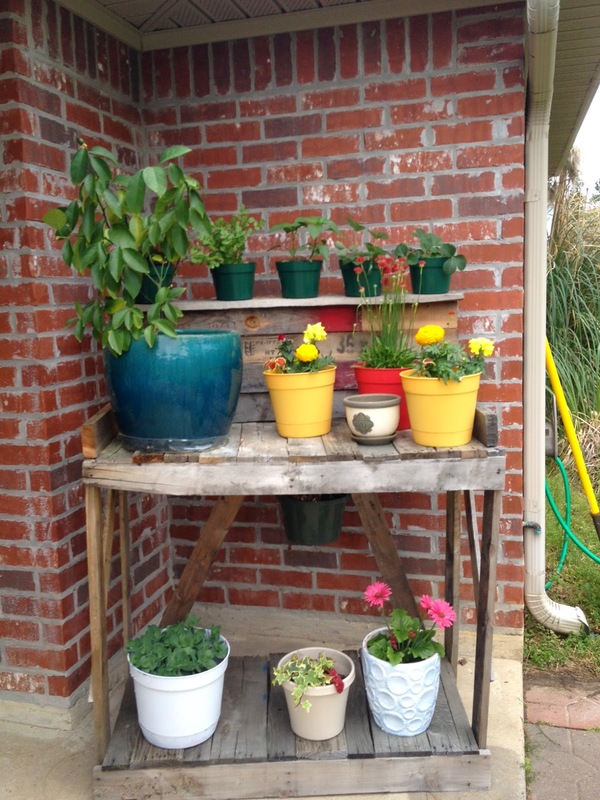 We also connected a backboard made from remaining pallet pieces and created a ledge at the top for additional plant storage. You can cross pallet boards in the back for a touch of decoration, as well as on the sides. Just attach these boards to the frame that you created to start with. Next pot your plants and decorate your stand! 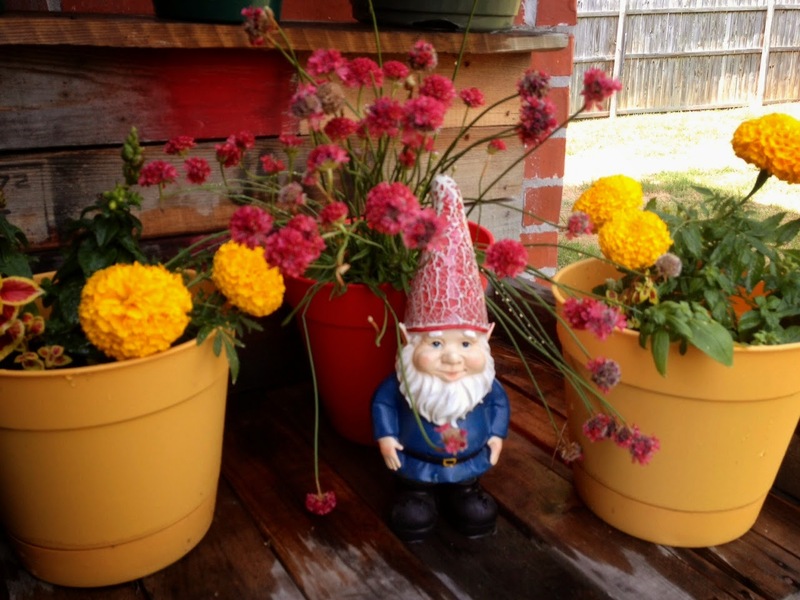 Here's a little peak of this springs arrangement with Sir Charles The Gnome!